Being sedentary puts you at risk of cardiovascular disease, deep vein thrombosis, depression, diabetes, metabolic syndrome, and osteoporosis. While simply adding exercise and leading a fit lifestyle will decrease stress, increase happiness chemicals, boost confidence and brain performance, and lead to more productivity, energy, and creativity. A lot of this has to do with hormonal changes that exercise can bring, like boosting glutathione, testosterone, human growth hormone, and thyroid stimulating hormone. 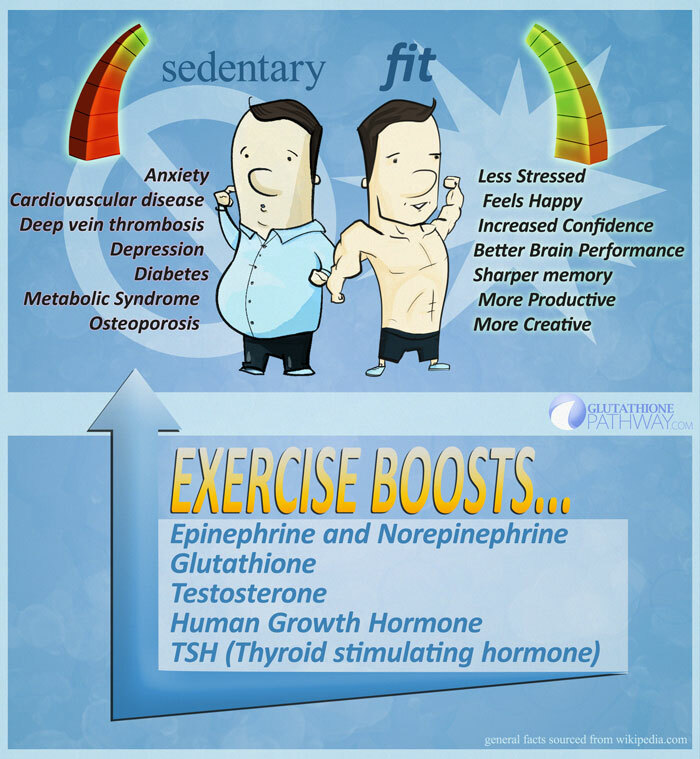 This is just a quick snapshot of the pro’s and cons of being sedentary vs. being fit. General information sourced from wikipedia.com – there are countless other benefits. Most importantly getting a little exercise will help you FEEL great!